Di Wei Restaurant which is located in the Empire Hotel Subang is simply a restaurant which had beautiful decoration with the touch of elegant with it. The contemporary design with the beautiful table which comes with it is simply something I love about it. Being that , Di Wei serves both Cantonese and Shanghainese cuisine as well as freshly made dim sum which I had them at the last round. Like other Chinese Restaurant, they do serves a decent choices of dishes from meat, to soup, live seafood as well as fried rice and noodles. 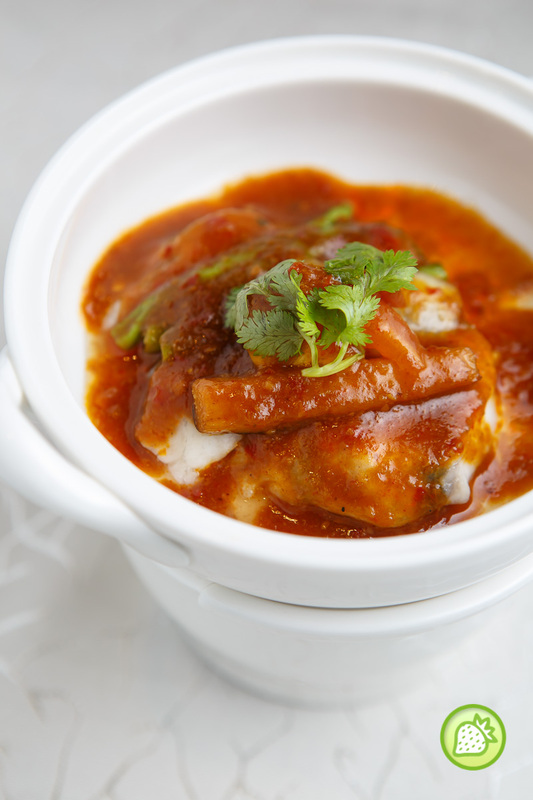 This round, we sampled their three new fish items which one of the highlights is the braised marble goby fish with iced beancurd and pork belly (RM 168++ per portion). 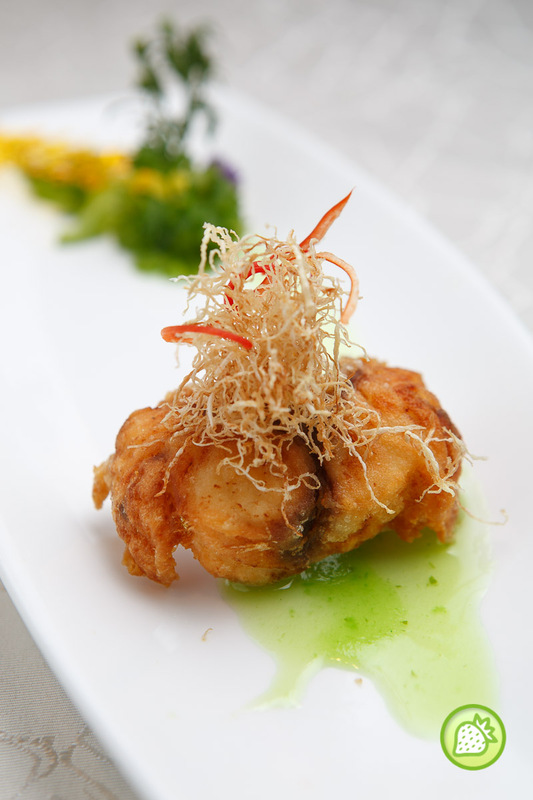 The Marble Goby beautifully prepared to the table with the smooth texture and layering meat. The preparations comes different from many restaurant where the chef decided to deep fried the fish itself and then braised them with their signature sauce with the crispy and juicy pork belly and iced beancurd. I am just falling in love with the dish itself where the fish comes flaky as well it is well absorb with the flavorful sauce that comes with it. This is just awesome. Coming next is the Steamed Seabass in Asam Sauce (RM 122++ per 100 gram). Sweet and savory temptations where the seabass is being cooked with the sweet and sourish blend which goes well with a hearty bowl of rice. 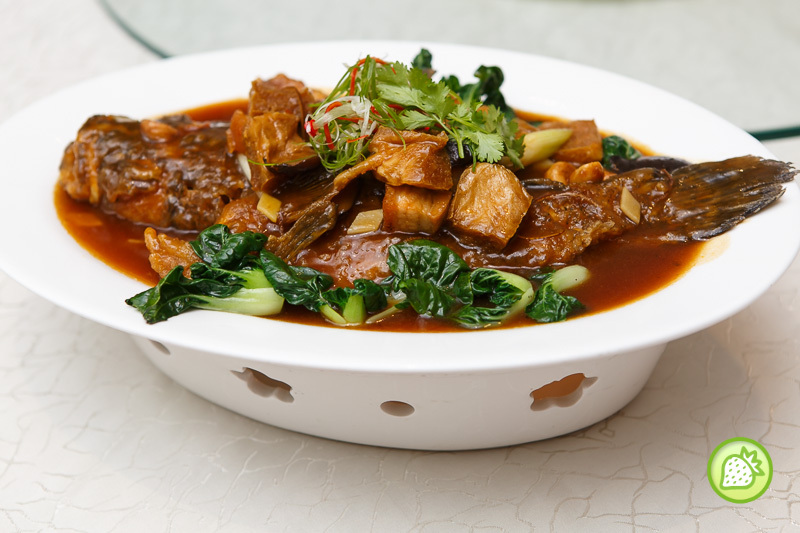 The Steamed Seabass in Asam Sauce is being served in the heated bowl and it would be good to enjoy them quickly to prevent the fish is being overcooked. Ended with the Pan Fried Giant Grouper with Green Apple Sauce (RM 23++ per 100 gram) where the dish is being pan ried and then added with the apple sauce in it that give us a different blend of taste. Just awesome as it is !